As we head into 2019, it’s time to take a hard look at employer-provided group health insurance. Although health costs currently remain somewhat stable, cost trends continue increasing at unsustainable rates. Medical costs are projected to rise 6 percent as we move into 2019, which is in trend with previous increases of 5.5 to 7 percent between 2013-2018. In 2018, the average premium for family group health coverage was $19,616, representing a 5 percent increase over 2017. Individual group health coverage increased 3 percent from the previous year to an average premium of $6,896. Beyond premium increases, individual health care costs are rising as well. For example, a routine colonoscopy costs $3,081. An MRI costs $2,611. A knee replacement costs $49,500. A routine c-section costs $16,106. These rising costs are attributable to widespread pharmaceutical use, cutting-edge medical technology, and treatment of chronic illnesses. Although improved pharmaceutical treatments and ever-evolving medical technology treat illnesses more effectively, there’s an associated high cost. Medical costs will continue to increase if past trends indicate future growth. The impact of governmental regulations, health technology, pharmaceuticals, and health care payment models will continue to impact health care, which in turn affects group health insurance offerings. With health care costs continuing to trend up, employers need to examine their options. For example, when structuring group health insurance benefits, employers should consider their choices for providing different alternatives to employees while increasing the value of the business’ employee benefits package. Additionally, while offering choice and value to employees, employers need to balance fiscal savings for their business. So, how can employers, especially smaller employers, offer health insurance benefits to their employees without being taken to the bank? For decades, employers have footed most of the bill for health insurance, often paying upwards of 90-100 percent of all out-of-pocket costs on behalf of their employees. When employers pay for most of their employees’ coverage, employees will often use insurance liberally. However, over the past several years, with the costs of health care rising, employers can no longer financially support this kind of benefit. Employers must reduce benefits or increase employee premium contribution, with neither as an optimal choice. Because of this limited choice forced onto the employer, consumer-driven health plans (CDHCs) have increased in popularity in businesses as they reduce health care costs while improving health care choices. Through CDHCs, employees bear more of the financial cost of group health insurance, which in turn encourages them to become active participants in their own health care decisions. The most common CDHCs are health savings accounts (HSAs), which are paired with high-deductible health plans, and health reimbursement accounts (HRAs). Employees using these types of CDHCs are more likely to ask questions and explore health care options. Further, these employees are more likely to take advantage of preventive health care services. For businesses and employees to reap the benefits of CDHCs, employers must communicate how these plans work and how they’ll benefit the employee. Because CDHCs represent a consumer-driven shift in how health care insurance is provided, communication and education are critical to the usage—and success—of these plans. A health reimbursement arrangement (HRA) is a health care account, funded by the employer. An HRA reimburses an employee’s eligible out-of-pocket expenses on a tax-favored basis. HRAs must be paired or integrated with a group health plan, as most stand-alone HRAs have been prohibited since 2014. Federal law, including the Affordable Care Act, has established strict rules and regulations on how HRAs can be designed. For example, an employer must comply with the law on eligibility, contributions, and reimbursements when establishing an HRA for the benefit of its employees. For example, only employers can contribute to HRAs; employee contributions are prohibited. 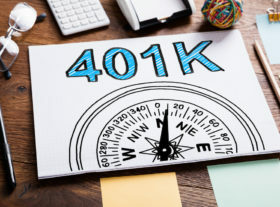 Further, HRAs are subject to many of the same employee benefits laws as employer-provided group health plans, such as ERISA, HIPAA, COBRA, and the IRS’s rules on non-discrimination. Integrated HRAs: Permitted; HRAs that are integrated with a group health plan as permitted by law. Stand-alone HRA, retiree-only HRA: Permitted; exempt from ACA. Stand-alone, limited-scope vision or dental benefit HRA: Permitted; exempt from ACA. QSEHRA: Permitted; exempt from ACA. The QSEHRA is a type of stand-alone HRA that’s exempt from the ACA and can be offered by small businesses, under 50 employees. The QSEHRA is a recent addition to the CDHC offerings, as it first became available to small businesses in 2017. On October 23, 2018, the Department of Labor (DOL), Health and Human Services (HHS), and the Treasury Department jointly issued new HRA proposed rules, expanding the use of HRAs. The new rules are effective for plan years beginning on or after January 1, 2020. HRAs will be expanded to include additional “excepted benefits,” meaning those benefits are exempt from the ACA, such as dental and vision. For example, excepted benefits can be expanded to accident-only coverage, workers’ compensation coverage or disability coverage. Of course, specific rules and conditions must be met for these new, expansive HRAs. However, these proposed rules are intended to provide additional affordable health care options for employers. Effective for plan years beginning on or after January 1, 2017, certain small employers that don’t maintain a group health plan can offer a qualified small employer health reimbursement arrangement, or a QSEHRA (pronounced Q-Sarah). These HRAs are often referred to as small business HRAs. Like a regular HRA, the QSEHRA is a company-funded arrangement used to reimburse employees for certain eligible medical expenses on a tax-favored basis. Both the employer and the employee save money because of tax-favored reimbursements. Additionally, small employers can offer a valuable health care option to their employees while recruiting and retaining top talent. The QSEHRA allows small businesses with fewer than fifty employees to offer a QSEHRA as long as the company isn’t also offering group health, dental, or vision plans to employees. For 2019, employers may contribute $5,150 per year for an employee and $10,450 per year for an employee plus family. QSEHRAs can be designed to have carry-over contributions from plan year to plan year. Further, if an employee joins the business mid-year, contribution amounts are pro-rated. These arrangements are funded solely by the employer; employee contributions are not permitted. All full-time employees are required to be eligible and to participate and cannot waive coverage. Other employees, such as part-time or seasonal, may be included or excluded based on the employer’s preference. Independent contractors may not participate in the QSEHRA. The QSEHRA-eligible employee must provide the employer with proof of minimum essential health coverage to receive reimbursements. Additionally, any health expenses must be eligible under Internal Revenue Code Section 213(d). Individual health insurance premiums can also be reimbursed under the QSEHRA, and submission of such proof of such to the employer would constitute a company best practice. The employer will maintain a set of QSEHRA plan documents and operate in compliance with the excepted benefit rules under ACA as well as regulations about plan design, employee notices, eligibility, and reimbursements. With employers now facing more choices with CDHCs, which approach is best? Of course, employers need to consider their workforce, their employees’ use of health benefits, company goals, the size of their company, potential company growth, company location, and additional factors specific to each business. However, some fundamental similarities and differences between HSAs, HRAs and QSEHRAs may give employers additional guidance. If you’re interested in discussing a QSEHRA or any of the consumer-driven models, click here to set up a time with one of our consultants. HRA vs HSA: Which One is Best for Your Employees?